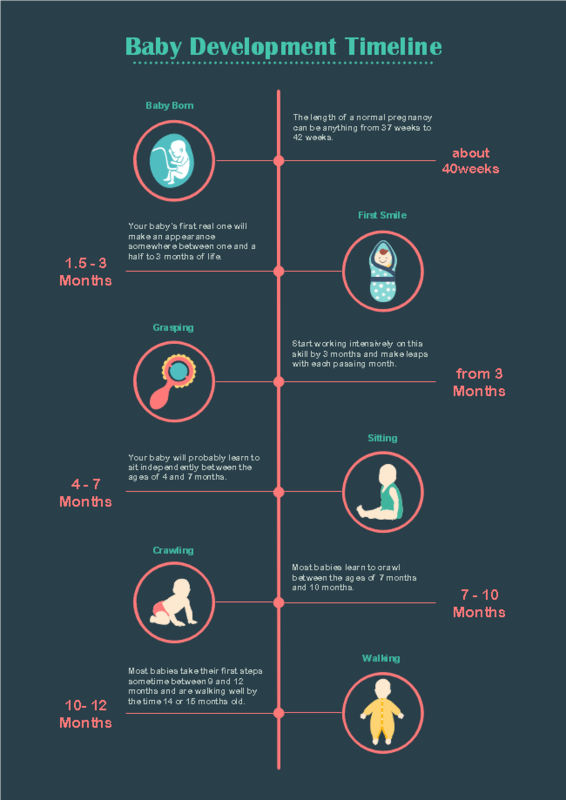 Description: This customizable baby development timeline template is very popular to use. It shows the baby development milestones within the first year. You can use it to represent any timeline.